We give you tips on how to look your best with acne. 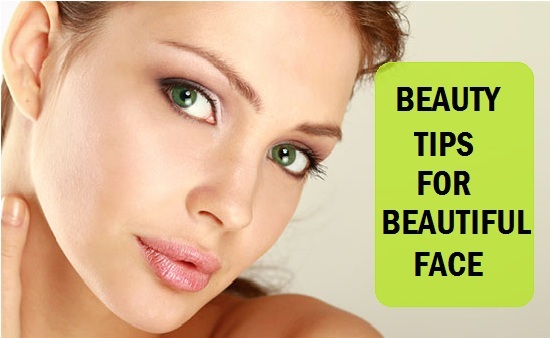 Top 10 beauty tips for acne If you have acne or skin problems, it doesn't mean that you cannot look your best. Here are some tips on how to do that. Most doctors recommend that people with acne gently wash their skin with a mild cleanser, once in the morning and once in the evening and after heavy exercise. Some people with acne may try to stop outbreaks and oil production by scrubbing their skin and using strong detergent soaps and rough scrub pads. However, scrubbing will not improve acne; in fact, it can make the problem worse. Ask your doctor for advice on the best type of cleanser to use. Wash your face from under the jaw to the hairline. Rinse your skin thoroughly after washing it. Astringents are not recommended unless the skin is very oily, and then they should be used only on oily spots. Oily, blemished skin still need hydration. Choose water-based products, rather than products containing oil or petroleum and check that they are nonacnegenic and noncomedogenic. It is important to wash your hair regularly. Avoid oily hair products, such as anti-frizz products, because they may eventually spread over the forehead, causing blackheads. Remember to cover your face when applying hairsprays and gels. If you are being treated for acne you need to change some of the make-up you use. All make-up, such as foundation, blush, eye shadow, and moisturisers, should be oil free. Rather go for powder blushes and eye shadow. Choose products that are labelled as �noncomedogenic� (do not promote the formation of closed pores) or �non-acnegenesis� (should not cause acne). If you are using acne medications, you may find it difficult to apply foundation evenly during the first few weeks of acne treatment because the skin may be red or scaly, particularly with the use of topical tretinoin or benzoyl peroxide. Remove your make-up every night with soap and water. A flesh-tinted acne lotion containing benzoyl peroxide, salicylic acid or sulfur can safely hide blemishes. Loose powder mixed with oil-free product is also good for cover-up. Camouflaging techniques can be used effectively by applying a green undercover cosmetic over red acne lesions to improve color blending. Eye creams are usually thicker and greasier than facial moisturisers. Heavy eye creams and oily eye make-up removers can cause milia, tiny white cysts under the eyes. Eye creams can also affect surrounding areas, leading to acne on the cheeks, temples and forehead. Many of the medicines used to treat acne can make you more prone to sunburn. You may be tempted to tan, because sunburn may make blemishes less visible and make your skin feel drier. However, these benefits are only temporary, and there are known risks of excessive sun exposure, such as more rapid skin ageing and a risk of developing skin cancer. Help prevent skin cancer by using sunscreen (SPF 15 or higher) outside, wearing protective clothing outdoors and avoiding overexposure to the sun and artificial tanning. Men who shave and who have acne can test both electric and safety razors to see which is more comfortable. If you use a safety razor, you should use a sharp blade and soften your beard thoroughly with soap and water before applying shaving cream. Nicking blemishes can be avoided by shaving lightly and only when necessary. Tight bra straps, headbands, collars and other clothing which place pressure on the skin may cause zits and blackheads in those areas of the skin. Rather wear loose, cool clothing.